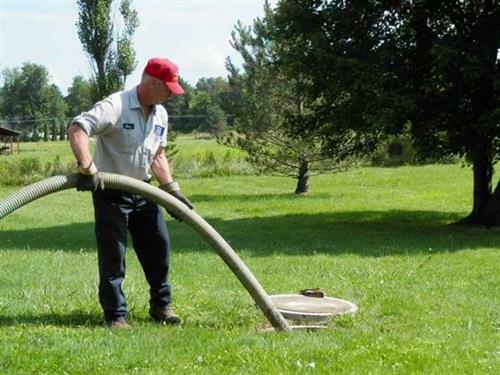 Nature's Call Septic Service, Inc. Emergency service is available evenings, week-ends, & holidays. 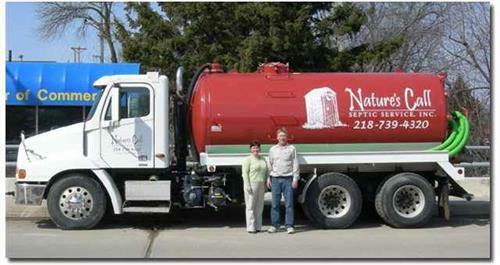 Doug and Karla Green of Nature's Call Septic Service, Inc. are proud independent, family-run business owners in the Fergus Falls area. We purchased the septic business in 2001 with a 2200 gallon GMC vacuum truck and in 2008 added a 3300 gallon Freightliner vacuum truck to the fleet. We continue to offer professional and courteous service for new and existing customers in Otter Tail, Grant, & Wilken Counties. From Fergus Falls, 7 miles East on State Highway 210, then 2 miles North on 275th Avenue.